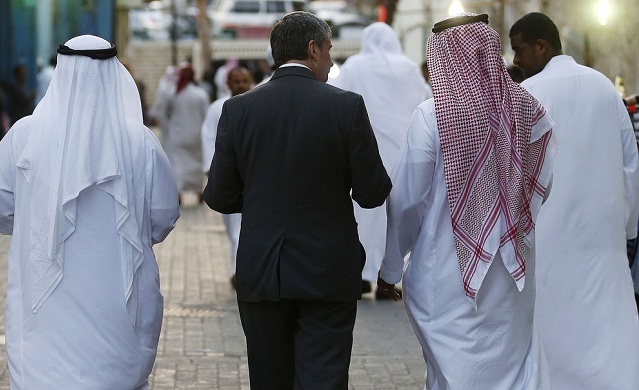 The Saudi government has announced that it will offer cash incentives to private sector employers who hire Saudis, according to local media reports. Saudi minister of Labour and Social Development Ahmad Al-Rajhi announced the initiative in Riyadh on Tuesday. Under the programme, the government will offer support for Saudi employees earning between SAR4,000 ($1,066) and SAR10,000 per month, Arab News reported. Al-Rajhi said the programme was one of several initiatives being undertaken in the kingdom to encourage the hiring of nationals in the private sector and increase their participation in the labour market. The kingdom’s Vision 2030 reform strategy aims to reduce local unemployment from 11.6 per cent to 7 per cent and increase women’s participation in the workforce from 22 per cent to 30 per cent. To achieve that, the country has imposed several restrictions on hiring expatriates in certain sectors like retail while also imposing higher fees on foreign nationals. Local reports have indicated up to 1.22 million jobs held by foreigners could be affected by the new rules.